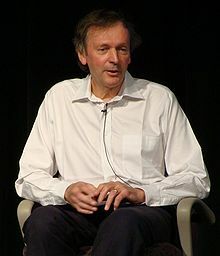 Rupert Sheldrake wrote "The Dogma Of Science". An introduction to the book by the author, including the "ten core beliefs that most scientists take for granted" can be found here. 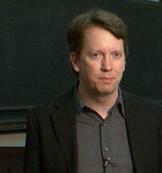 His famously banned TED talk is here. "2. All matter is unconscious." "3. 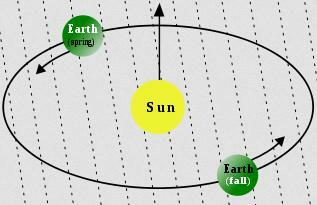 The total amount of matter and energy is always the same." "4. 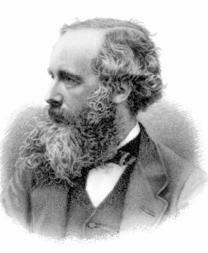 The laws of nature are fixed." "6. All biological inheritance is material." "7. Minds are inside heads and are nothing but the activities of brains." "8. Memories are stored as in the brain." "9. 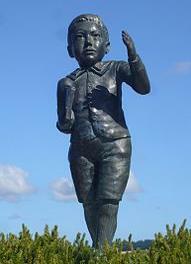 Unexplained phenomena like telepathy are illusory." "10. Mechanistic medicine is the only kind that really works." 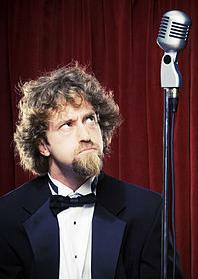 When I stumbled across Professor Sheldrake, on a Joe Rogan Experience podcast, I was floored. The disease I had been running up against finally had a name. Sure enough, when I went back over some of the comments I had made earlier, I found I had given it similar labels myself. It is a quality which the scientist cannot dispense with. In fact, it is more religious than religion -- an occupation generally only practiced on Sundays. A bit like learning that one's favorite breakfast had been made of vulcanized rubber and toothpaste, it was clear a colonic irrigation was in order. The Big Bang = Genesis. The inflationary period = the miraculous resurrection. Dark Matter / Dark Energy = the devil. Cosmic Microwave Background = 'Hail Marys' fixing everything. Quantum Mechanics = political correctness. String Theory = going to Heaven. The general state of physics today = Babel. The Catholic Church had a hand in creating the scientific method. setting up the whole university system to begin with. The book called "The Bible" was written by people. And physics is what it is today because of people. Pablo Picasso's "Every act of creation is first an act of destruction" gives us the way forward in physics. Bring on the bloodbath, and quick with the changing of the guard! It would be different if physics had all the answers. But clearly and increasingly it does not. Better yet, let's roast some physicists! 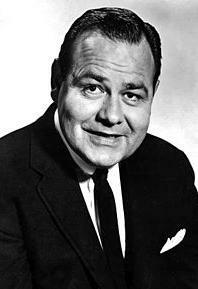 I think my style is, at heart, like that of Red Skelton. Both of us old in a (supposed) young man's field. Where Red was never afraid to "put on the dog", I am never shy about calling bad science "bad science". It takes guts, or extreme foolishness, to do this. In a field as small as physics, there are limited chairs in the game, and many eager to play. Why tape a naughty nickname to the back of each one? Because physics today is a disaster, more resembling politics than science. 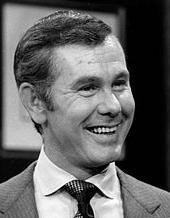 And there is no more fertile ground for comedians than the mushroom manure of politics. 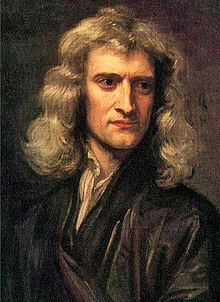 Sir Isaac's head score was so high he almost closed out the science category himself. What was missing? Humor. Lightness. Humanity. Newton was all work and no play. 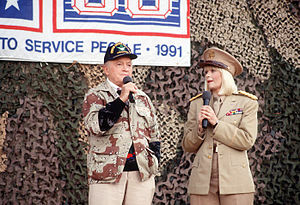 So naturally Newton brings to mind Bob Hope. In the sense that one side of a great brain needs a correspondingly great other side. 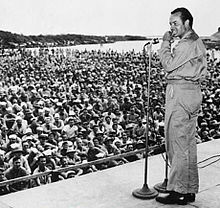 There was no more humanitarian a comedian than Bob Hope. 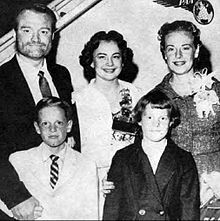 A "people person" in name and nature, Bob Hope brought kindness to comedy. 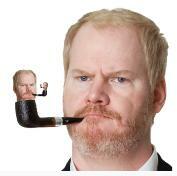 If we evolved a race of Isaac Newtons, that would not be progress. desirable things. As a man he was a failure; as a monster he was superb. Every good metaphor meets its Waterloo. Ours meets it here with Albert Einstein. humanism to an otherwise stuffy arena. The only way to properly cover Einstein is with an entire team. the first ever masked goaltender, between the pipes. Amadeus Mozart on pipe organ. Jerry Rice. John Stuart Mill and Gandhi on defense. Rally Monkey on jukebox. 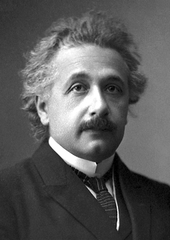 Einstein was the Jack Benny of science. 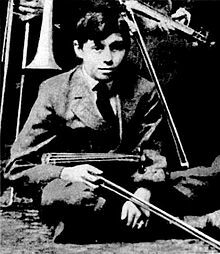 All he did was fiddle. 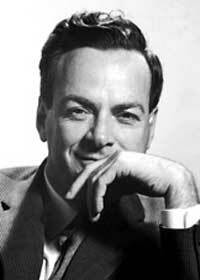 Richard Feynman was Jackie Gleeson. And both were all that is wrong with America. At least one of them was good at pool. "Love 'em or hate 'em"
their field would have been better off. call things as he saw them. started in a similar way. You could give Aristotle a tutorial. And you could thrill him to the core of his being. 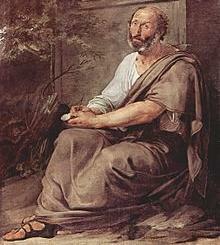 Aristotle was an encyclopedic polymath, an all time intellect. Yet not only can you know more than him about the world. You also can have a deeper understanding of how everything works. Such is the privilege of living after Newton, Darwin, Einstein, Planck, Watson, Crick and their colleagues. I'm not saying you're more intelligent than Aristotle, or wiser. For all I know, Aristotle's the cleverest person who ever lived. That's not the point. The point is only that science is cumulative, and we live later. Are the choices we are given. 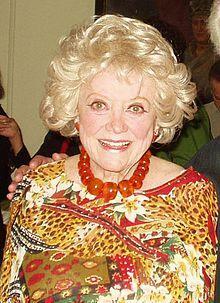 Phyllis Diller was never funny. so bears at least some of the blame for the LHC boondoggle. Science will not progress by caveman-like rock smashing. I asked a psychiatrist named Robin Skynner how many people in his profession he thought really knew what they were doing. He said about 10 percent. So for the next few years, every time I met somebody I thought was particularly sharp, I asked them the same question. The highest estimate I got was 20 percent. That explained so much. I spent so many years worrying about executives and critics, but once you realize very few of them know what they're talking about, everything is simplified. comedic field has yet to recover. the way forward invariably involves thinking differently. Time and time again Einstein filled me with amazement, and indeed enthusiasm, as I watched the ease with which he would, in discussion, experimentally change his point of view, at times tentatively adopting the opposite view and viewing the whole problem from a new and totally changed angle. 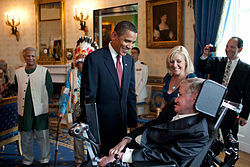 Stephen Hawking and Josh Blue are wonderfully refreshing. A positive side to Political Correctness. as an edge case governed by different rules. 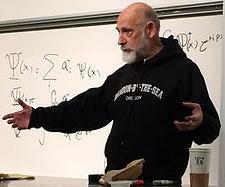 Care to invest 75 minutes as Leonard Susskind explains the Higgs? 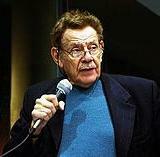 And I prefer a funny comedian, rather than angry man Jerry Stiller. Susskind is highly respected, and probably one of the most capable. Dinosaurs. 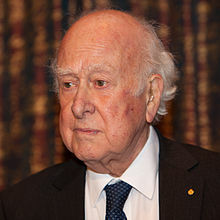 Those who can't see the Higgs as an inelegant abomination will be left behind by those who can. Susskind was great at standing up to Hawking, but what about his solo work? Adapt or die must be this century's physics mantra. Intuition is organic, healthy and Kosher. Allowing us to avoid the personal God trap. 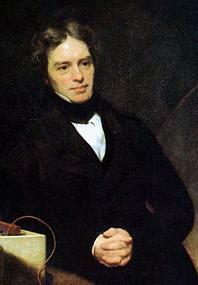 Michael Faraday, like Jonathan Winters, personified the adaptive, ear-to-the-ground, method. 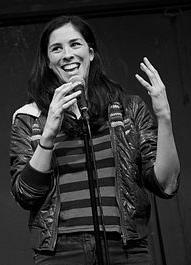 Faraday's lab-to-visuals directness equalled Winters' improv-as-career-path essence. inflationary miracles and dark-aged physics. so that you may be irregular and original in your work. 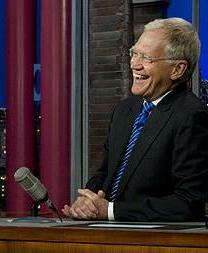 Letterman's style too far ahead of his time. Perhaps we need to study their successes more closely. The amount of eccentricity in a society has generally been proportional to the amount of genius, mental vigour and moral courage it contained. 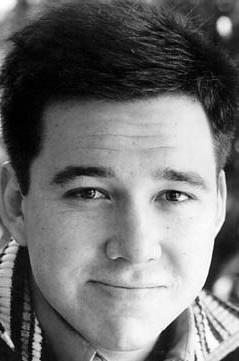 Ultimate scientist vs ultimate comedian, Max Planck and Bill Hicks are a study in contrasts. 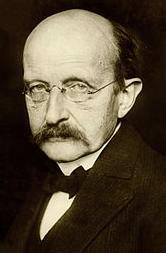 Planck's discovery was almost a fluke, where Hicks' destiny was never in doubt. 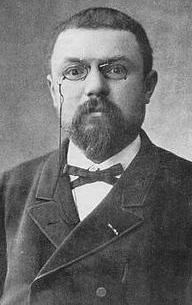 Planck's life lived long, Hicks' life smoked short. Still, both made epic contributions. And have long, if not the longest, tails. You never know who will bring the most. Have you left room in your thinking for a great...smoker? nothing bad will ever happen to you. There will always be a Michio Kaku. But we're not forced to Look, Listen and Learn from them. Both are, kindly, all over the place. but should never underly science. Just because they're among the best paid doesn't mean we must stoop to touch their cloth. Let's leave them in the dime novel section, shall we? When I go to the movies, and have to sit through ten previews of films that look alike and tell the whole story, you know that we've reached an age of consensus. And consensus is the worst thing for us. We all agree to agree. That's where we lose it as a culture. We have to move away from that. 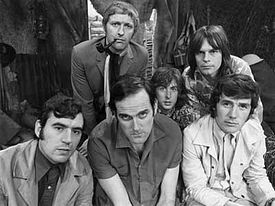 Monty Python was considered unfunny, if not impolite. The rest of the world didn't require their knighthood to give them the royal treatment. Aether theories suffered a reverse indignity. Obvious to all at first, their unofficial retirement came on the heels of one of Einstein's relativities. and both remain first choices of the young-minded today. Seems the best physics did happen in its youth. 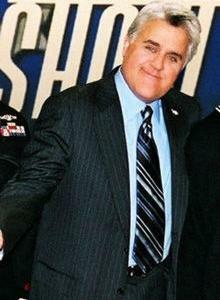 The status of Roger Penrose and Jay Leno is about the same. this pair are ultimately in the way of better stuff. cause people to tune out, without really knowing why. Mr. Tawdry Physics Model needs a makeover. 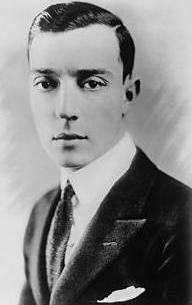 Henri Poincare and Buster Keaton may have been born forty years apart, but their styles were those of peers. "Very old," moans modern man. "Unmistakebly good" sayeth the sage. It wouldn't hurt to brush up on our legends. Galileo called doubt the father of invention. It is certainly the pioneer. 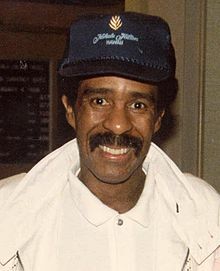 Richard Pryor shattered the comedy mold. 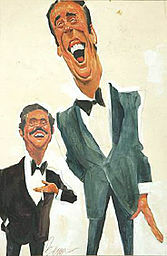 Pryor went on to become a comedy legend. 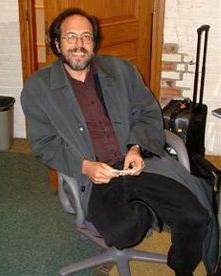 Lee Smolin has also taken on convention. 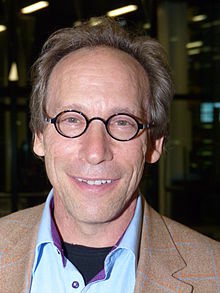 In 2006 he wrote "The Trouble With Physics". "Time Reborn: From The Crisis In Physics To The Future Of The Universe". 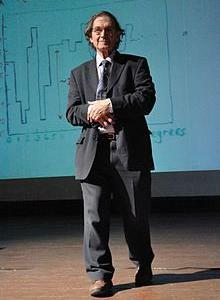 Lee Smolin gets my vote for most underrated physicist. He's a guy that truly 'gets' his field. Just as Richard did. Give them credit. Show them some respect. It will help you more than it will help them. Let's be clear: the work of science has nothing whatever to do with consensus. Consensus is the business of politics. 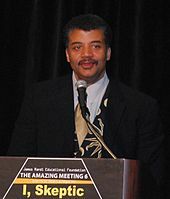 Science, on the contrary, requires only one investigator who happens to be right, which means that they have results that are verifiable by reference to the real world. In science consensus is irrelevant. What is relevant is reproducible results. didn't want people using his first name. 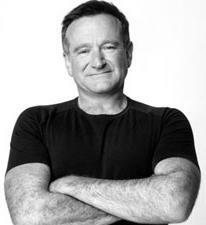 His daughter, Monica, never once remembered him laughing. "This balancing on the dizzying path between genius and madness is awful," Einstein said of him. 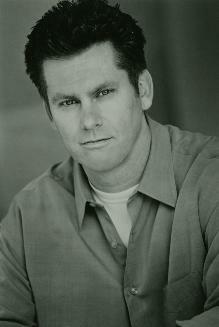 So who better to balance out Dirac than Brian Regan, the ultimate "child comedian". Except that Brian is brilliant, clean and hilarious. Physics could be aimed at everyone. If it had a dead simple model. and not in the multiplicity and confusion of things. 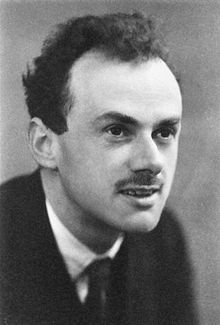 So who should we model our ultimate 21st Century physicist after? I'd suggest Leonardo Da Vinci. 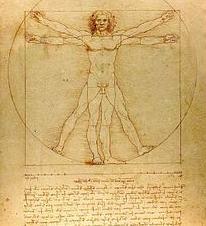 Was there ever a better physics all-rounder than da Vinci? Was there ever a better comedy all-rounder than Williams? These true renaissance men were the real deal. Real progress in understanding nature is rarely incremental. All important advances are sudden intuitions, new principles, new ways of seeing. We have not fully recognized this process of leaping ahead, however, in part because textbooks tend to tame revolutions. They describe the advances as if they had been logical in their day and not at all shocking. Physicists are among the most unapproachable people in the world. Unless you want to pat them on the back. is among the greatest thinkers alive. Quick witted, almost sneaky-good delivery. Does anyone more seamlessly present their point of view? But Sean doesn't want to hear about your new theory. No physicist wants to hear your new theory. the bizarre world of Nobel seekers. I mean, "modern physicists". The physics we have today is like the rest of life today. with a smattering of generosity. We tend to think of science as a collection of esoteric information, but science is best understood as a process for figuring out the workings of the universe. Scientists look at the world, think of models to explain their observations, test those models with further observations and experiment, and tell each other the results. Alex Filippenko is exceptional. A true physics enthusiast. And eclipse chaser. Apparently originality counts for nothing. We must be more than enthusiastic. We must be...what? the chief requirements of life. 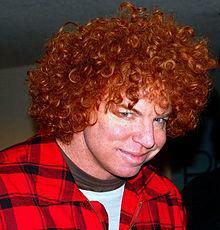 I happen to like Carrot Top. 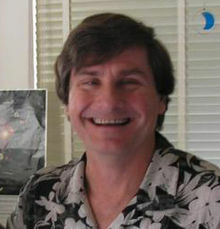 And Alex Filippenko. Both are fun, and full of life. Our doctors would approve of us being more like either. "Come out of the shadows in your thinking. 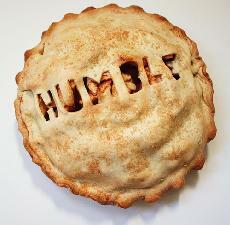 Ridiculously unearned levels of popularity hide a dark secret. The idols offered us aren't wise. 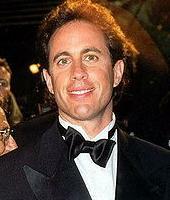 Neil deGrasse Tyson's "Cosmos" is more like "Seinfeld". A couple of shows about nothing. Both failing to stand up to scrutiny. Fancy graphics, and celebrity, do not a revolution make. 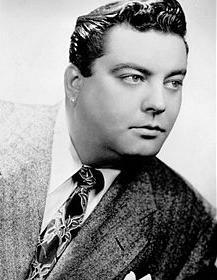 Tenure is like syndication, delivering a never ending stream of banality. There is a great difference between knowing and understanding. Wikipedia doesn't even have an Amit Goswami page. Allan Bloom probably just let out a sigh. 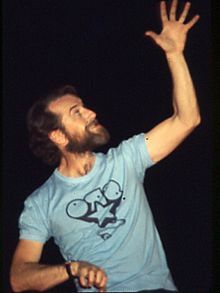 But George Carlin wouldn't have been surprised. These two were category makers, with deep legacies. Long brilliant careers, yet always current. Both will be worth listening to fifty years from now. Wiki doesn't have an Amit Goswami page? Seriously?! One look at Peter's photo says it all. Except we should also blame the rest of the gang of six. And about 2,994 more. Etymology: Quantum Flavordynamics came from Quantum Chromodynamics that came from Quantum Electrodynamics that came from an endless string of infinities. House of cards enough for you? The good news is we have a new three-letter acronym: QFD. 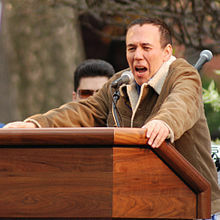 The bad news is we have to mention Gilbert Gottfried. Fingernails on a blackboard had to come from somewhere. 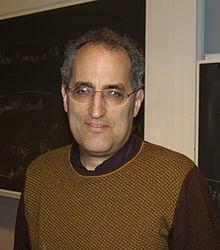 So goes the Edward Witten hype. And I bought it. Until I heard him talk. Which is the only option since he never publishes. Really. Go ahead, hop on over to Amazon and give it a try. I'll wait. Professor Witten is the only Ringer I've ever seen whose job it is to keep the bench warm. 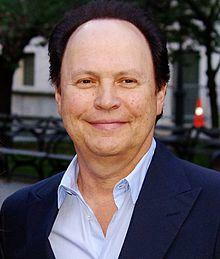 So why does he remind me of Billy Crystal? Both turn out to be too good to be true. Oh, Billy has the smoothest comedic delivery I've ever heard. But I rarely laugh at his jokes. "Can I have '5 things that don't exist' for $200, Alex?" 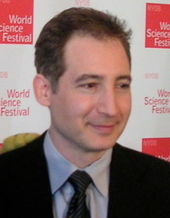 Brian Greene is bright. Expressive. Loquacious even. A veritable Barnum & Bailey of physics. If anyone has earned his 15 minutes of fame, it's Brian. Honestly, the PBS series "The Elegant Universe", based on Brian's 1999 book, is rather wonderful. I can see where his following came from. waiting to crown its emperor. And Johnny was perfect. We need more than good physics filler. We need something that makes sense. Something testable. And most of all, something simple. String Theory is so far from elegant, the Elegant estate could sue. And win. Career men do not a theory make. And a very long stubborn streak. 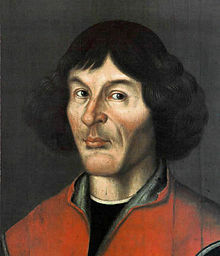 Fermat's best needed an Andrew Wiles. Who will prove that physics can be simple? Before the 2007 crash, I consulted for a company that made software that helped banks analyze risk. The software did work really well. The problem was, nobody bought it. In spite of its brilliance, nobody was interested. When we talked to the heads of risk at investment banks, we found out why. They'd spent years learning the old way. They weren't going to give it all up for something any fool could read. If only wed found a way to make the interface acceptably difficult to use, they wouldn't have felt threatened. is more like Dave Allen. 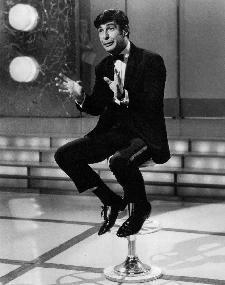 Dave Allen hit the comedic nail on the head. Every night. For 30 years. Yet who has heard of him? "The Beautiful Invisible: Creativity, Imagination, and Theoretical Physics". Yet Amazon ranks it '#575,274 in Books'. Q. "Does Journal Peer Review Miss Best and Brightest?" A. The finding confirms that unconventional research that falls outside the established lines of thought may be more prone to rejection from top journals. It's typical human politics and ideology at work. What would you expect from a large group of people, all with vested interests? 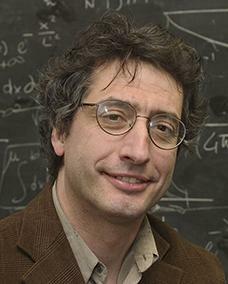 Professor Vignale so gets the importance of intuition, I think even Einstein would approve. And no, Wikipedia does not have a page for Giovanni Vignale. I kid you not. ** - The subtitle of "The Dogma of Science" rename? "Freeing the Spirit of Enquiry".